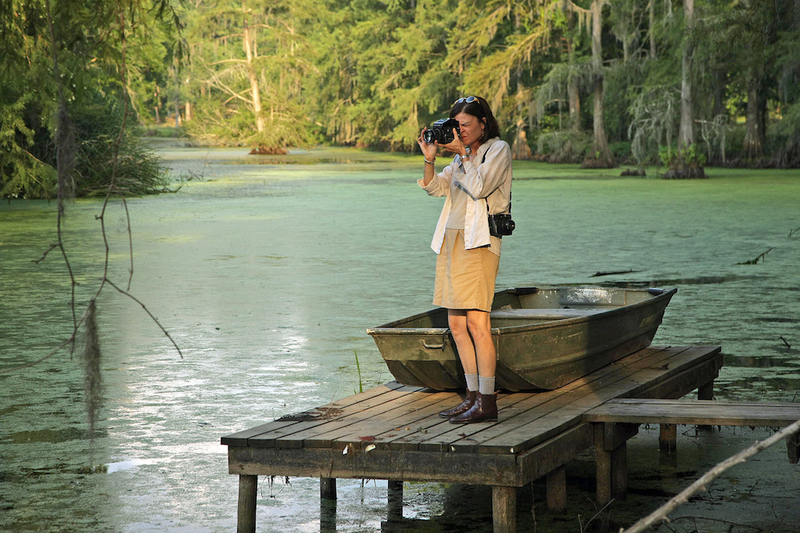 Maude Schuyler Clay is a photographer who has published three books and had multiple exhibits of images of the Mississippi Delta. Born in Greenwood, she attended the University of Mississippi and the Memphis College of Art. She has lived in Sumner with her family since the 1980s. Clay moved to New York in her twenties, working as a photographer and photo editor for Vanity Fair, Esquire, and other major magazines. In 1987 she and her husband, Langdon Clay, moved their growing family back into the Schuyler family home in Sumner in Tallahatchie County, in part to help her mother when her health declined and in part because she felt she belonged there. Clay worked in color photography until the 1990s, when a doctor new to Sumner asked her to photograph the area in black and white. In the late 1990s and early 2000s, she also served as the photography editor for Oxford American. Clay has published three books of photography. Delta Land, released in 1999 by the University Press of Mississippi, consists of black and white photographs of Delta scenes and features an introduction by author Lewis Nordan. Clay described the work as “a photographic project which involves the recording and preservation of the Mississippi landscape and its rapidly disappearing indigenous structures: mule barns, field churches, cotton gins, commissaries, crossroads stores, tenant houses, cypress sheds, and railroad stations.” Her second work, Delta Dogs (2014), documents the lives of dogs as important figures in the Delta landscape. In her afterword to Delta Land, Clay places her work within both Mississippi’s history of exploitation (slavery, agricultural labor, segregation, and the murder of Emmett Till) and Mississippi’s photographic history (New Deal–era documentarians, civil rights photographers, and Eggleston). She has won the photography prize from the Mississippi Institute of Arts and Letters in 1988, 1992, 2000, 2015, and 2016 her work has appeared in many galleries. Her book Mississippi History, composed of color portraits with a foreword by Richard Ford, was published in 2015, and she and poet Ann Fisher-Wirth published Mississippi in 2018.